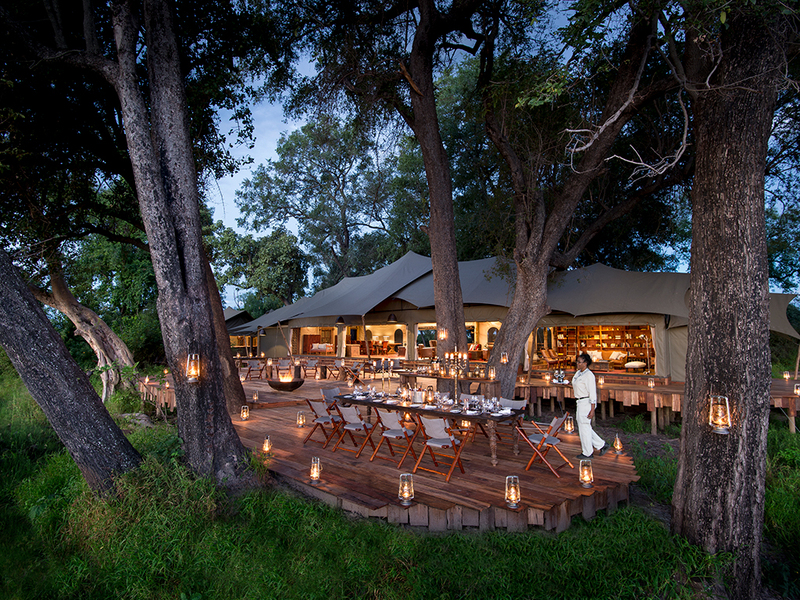 The camp is named for the spring-line that runs through the concession and attracts an abundance of wildlife. 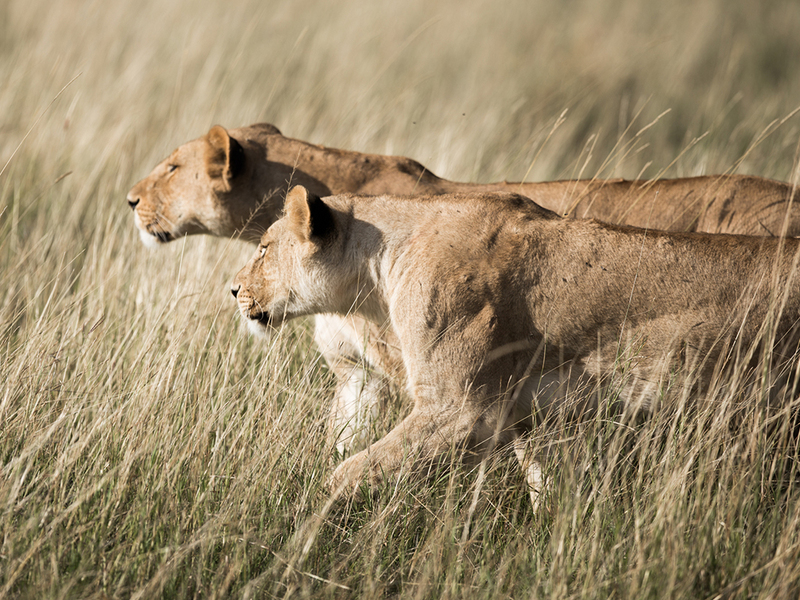 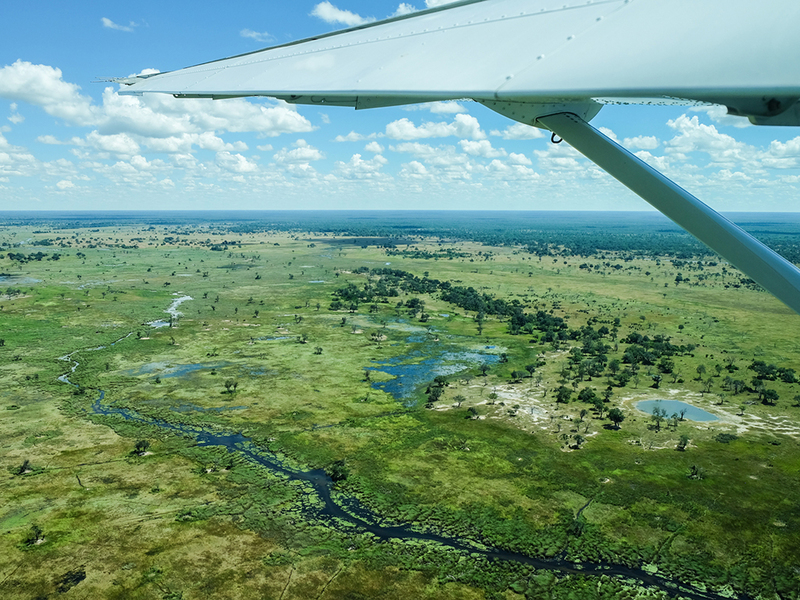 Mpala Jena means “white impala” named, according to local National Park rangers, after an albino impala seen in the area in 1979 when the Zambezi National Park was created and separated from Victoria Falls National Park. 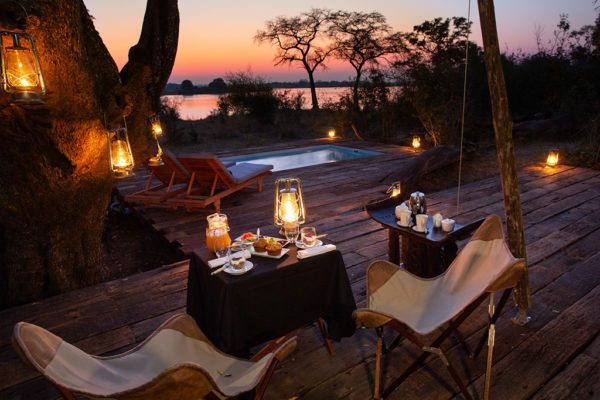 Today Zambezi National Park has a healthy population of wildlife including buffalo, elephant and lion and offers excellent bird-watching, particularly between November and April. 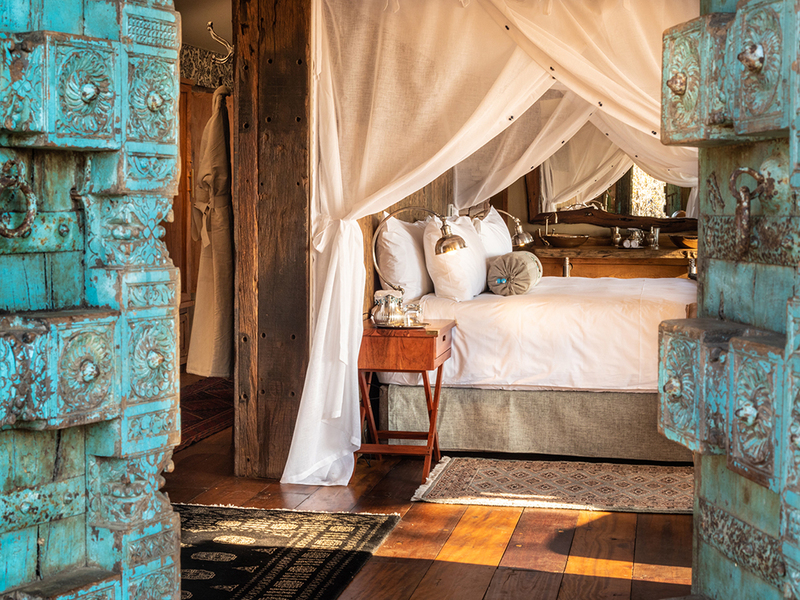 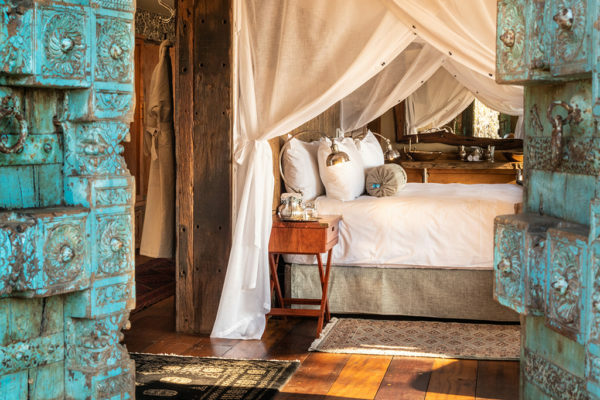 The camp’s four guest tents are under flowing canvas, with open (yet netted) views of the river and Moroccan influences throughout the decor. 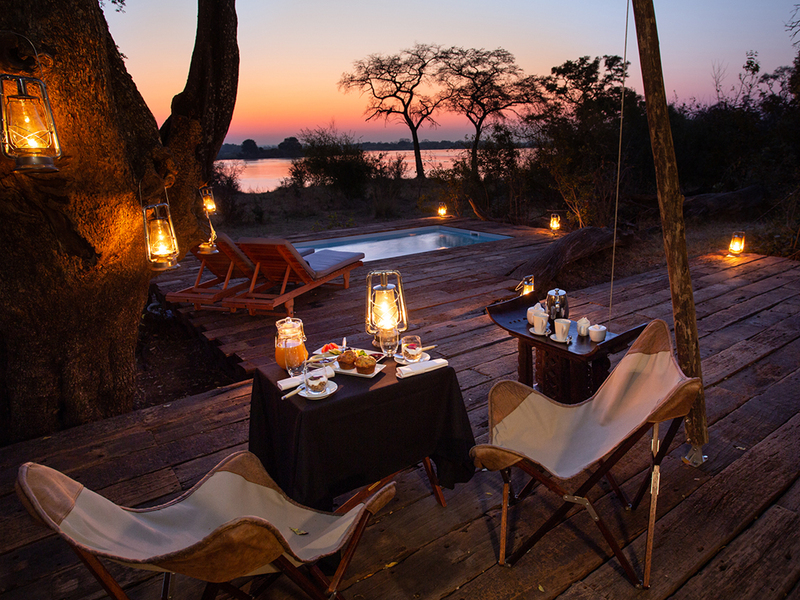 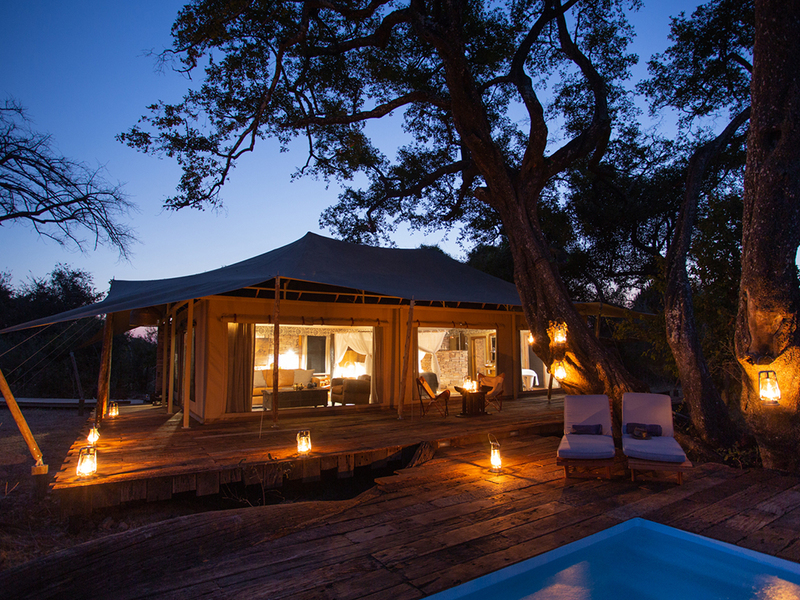 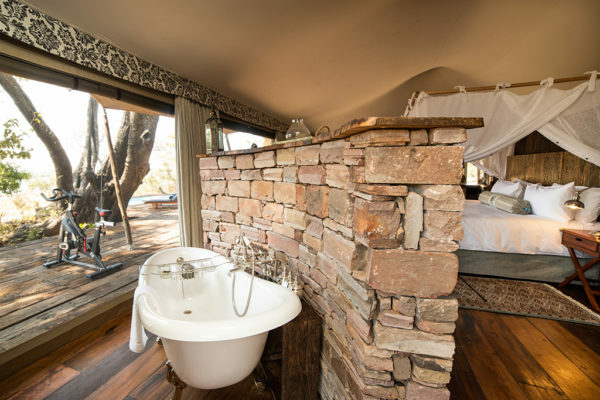 Decking in front of the tent leads to a private plunge pool with views of the flowing waters of the Zambezi River. 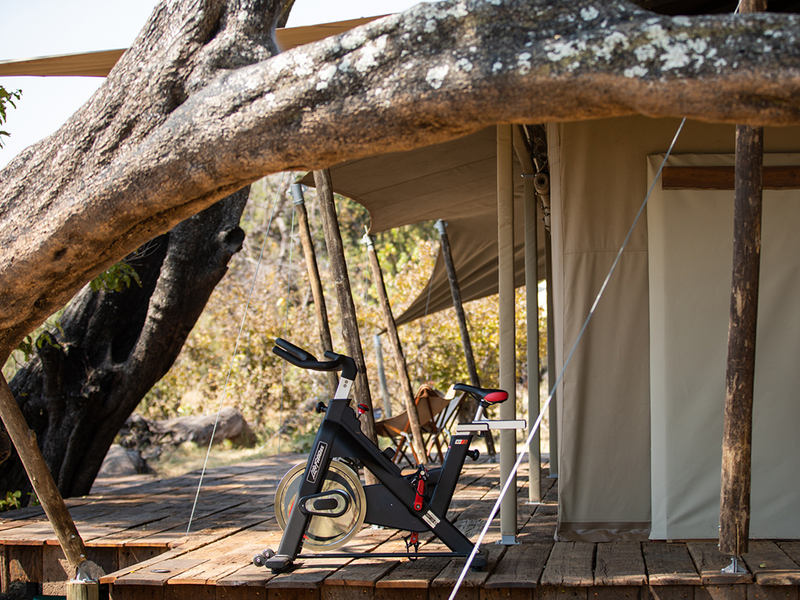 Mpala Jena Camp is one of the most environmentally innovative camps in Zambezi National Park; achieved through the use of recycled hardwoods and canvas and ensuring all the camp’s electricity needs come from solar power. 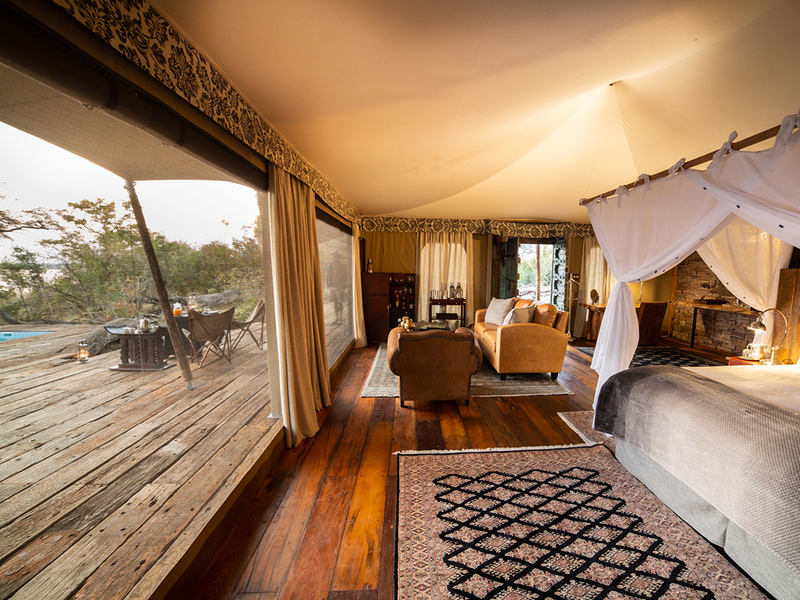 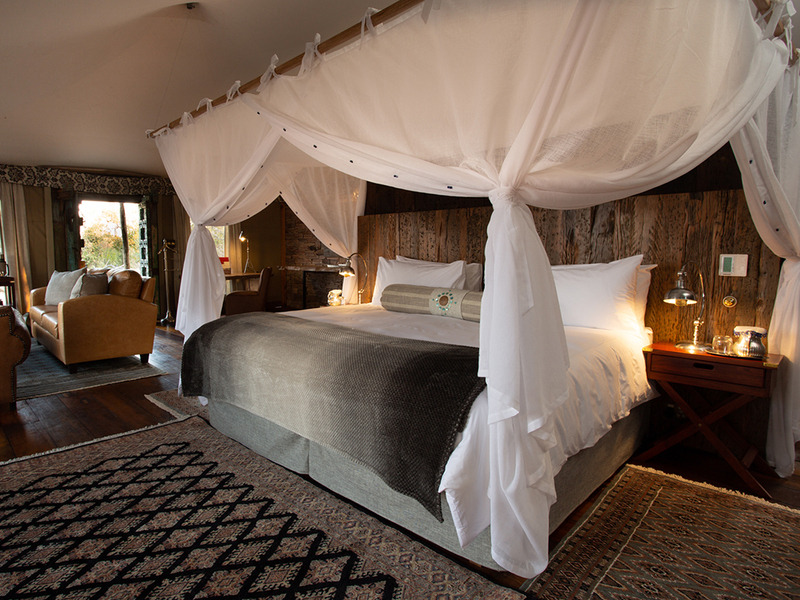 The property is conveniently located 16 kilometres inside the Zambezi National Park offering easy access to Victoria Falls town, but distance from the hustle and bustle, allowing guests to remain immersed in a safari-atmosphere and relax in the incredible setting and wild habitat of the Park. 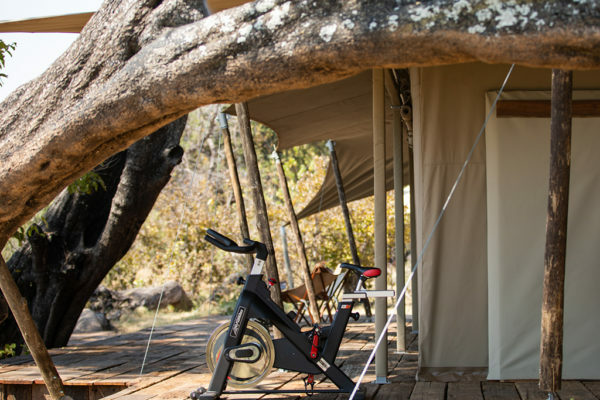 Fully inclusive of accommodation, wildlife viewing activities, meals, daily laundry, return Victoria Falls International Airport transfers which may be a combination of road and boat transfers or purely road transfers, alcoholic and non-alcoholic beverages (excluding champagne). 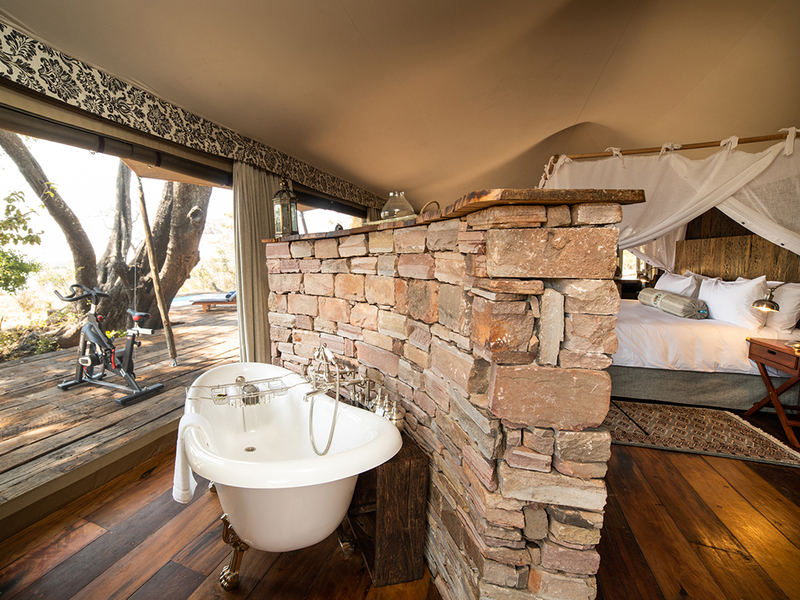 A maximum of 8 guests sharing in four tented rooms, plus an additional guide’s tent as required. 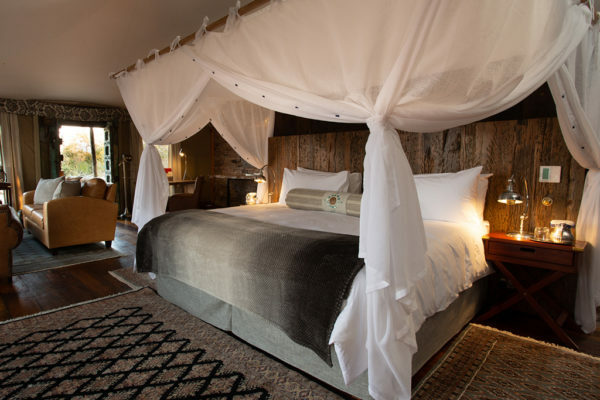 Children from 6 years are welcome. 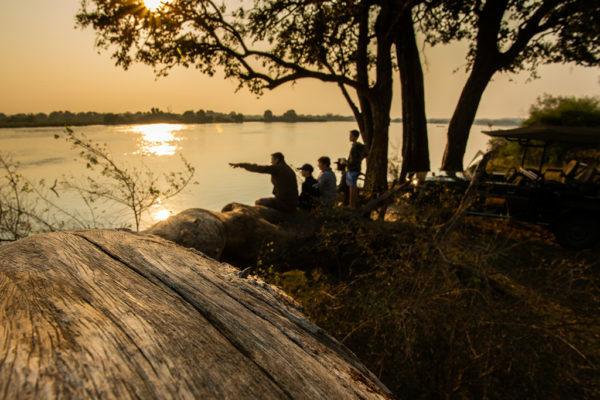 Early morning and late afternoon game viewing in a private open 4×4 vehicle, guided walks, one return road transfer to Victoria Falls town, one entrance ticket to see the Victoria Falls per guest’s stay on a self guided basis and boat-based activities on the Zambezi River water levels permitting. 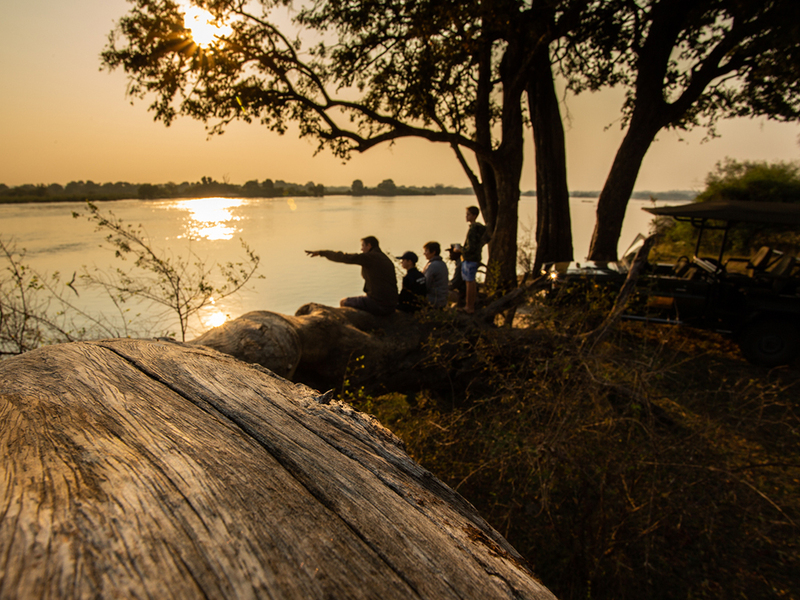 Zambezi National Park, upstream from Victoria Falls, Zimbabwe. 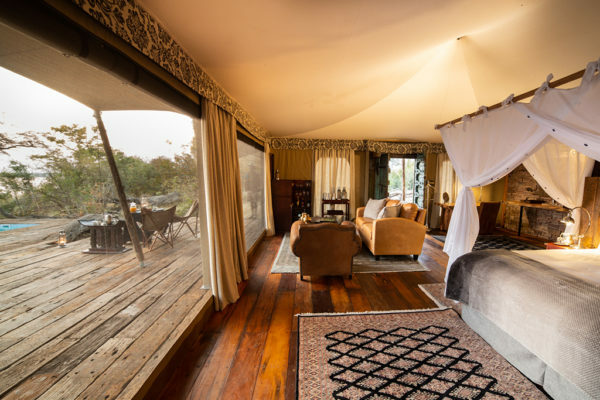 Complimentary return road, or road and boat, transfers from Victoria Falls International Airport included in the nightly rate.